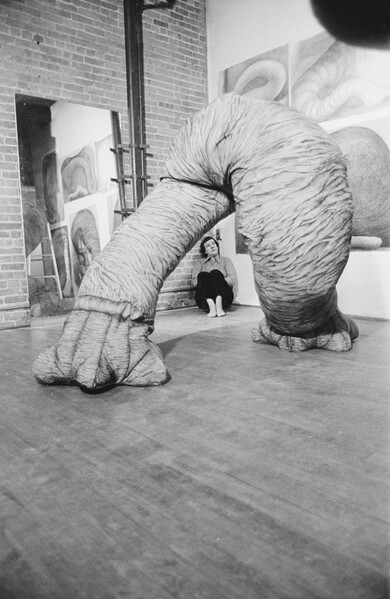 During the 1970s Feminist Art Movement, Judy Chicago’s The Dinner Party and art historian Linda Nochlin’s groundbreaking essay “Why Have There Been No Great Women Artists?” celebrated great women in history and brought to light the institutional challenges that prevent women artists from succeeding professionally. In the midst of this, photographer Susan Katz (b. 1947) began work on a photobook project titled The Woman I Am, documenting 18 women’s experiences as professional artists. Katz is an American photographer from Brooklyn, who in the early 1970s became involved with the Women’s Liberation Movement, anti-racist activism, and the New York art scene. The Woman I Am reflects her passion for activism and art. Unfortunately, Katz’s book was never published. Katz gifted the full model of her project, as well as her negatives, slides, contact sheets, photographic prints, and notes, to NMWA’s Archives of Women Artists at the Betty Boyd Dettre Library & Research Center. The project sprang from Katz’s quest to discover how to fully center art in her own life as a personal and professional commitment. 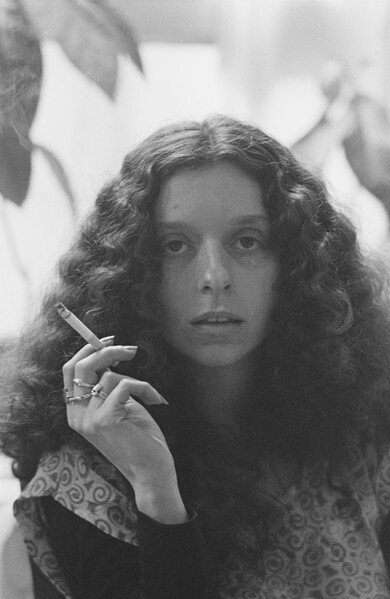 From 1974 to 1976, she photographed and interviewed well-established women artists, dancers, musicians, and writers in their New York City studios. Each artist is represented by several photographs and a short personal essay facilitated by Katz and writer Leslie J. Freeman, based on interviews with the artists. Katz sought to portray each artist’s “self-doubts, conflicts, excitement, frustration, and the decisions she made to commit herself further.” Katz captured the determination of her subjects in her photographs, as seen in artist Barbara Kruger’s unwavering gaze or in the total concentration of writer Alice Walker while working. Katz wished to explore how each artist felt their gender impacted their art. 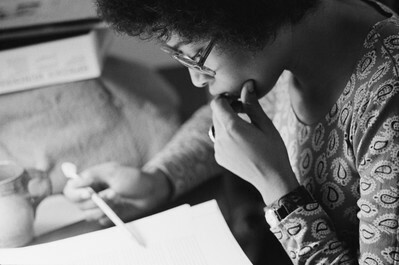 Writer Alice Walker, for example, spoke with Katz about the new opportunities open to women of her generation. “What we’ve decided is we want everything,” she said, including the chance to work as an artist professionally and have children. —Shannon Neal is the summer 2018 intern in the Betty Boyd Dettre Library and Research Center at the National Museum of Women in the Arts. This entry was posted in Library and Research Center and tagged Susan Katz by Women in the Arts. Bookmark the permalink.